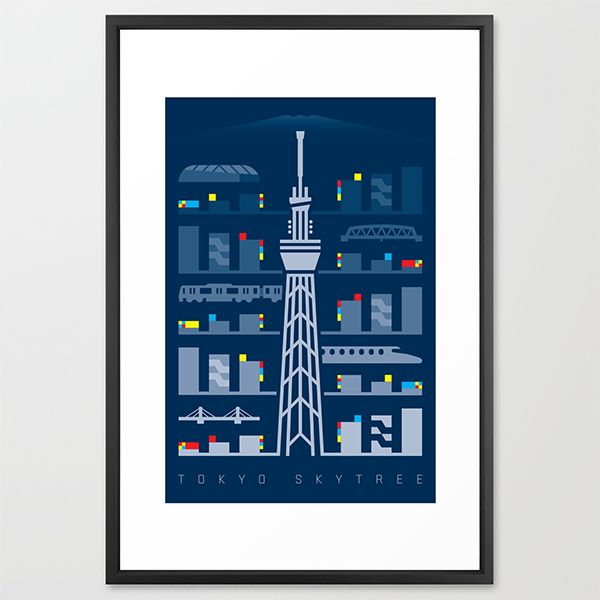 This poster design captures my impression of Tokyo at twilight and the engineering marvel that is Skytree which dominates the city skyline. Bullet trains and rail cars snake through the mini-cities of Ginza and Shibuya as buildings, lights, and billboards begin to pulsate. 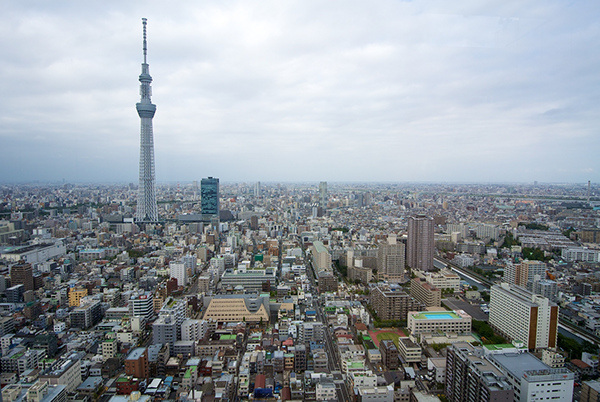 In the distance and above all is Japan's natural wonder, Mt. 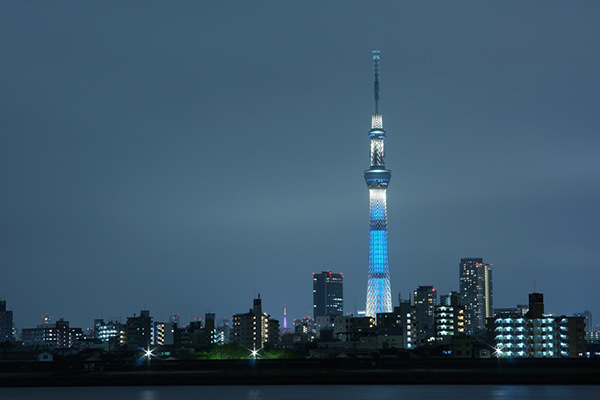 Fuji, which one can see from Tokyo's man-made wonder, Skytree. I am fortunate to have visited and observed the sites shown in the poster at one time or another. 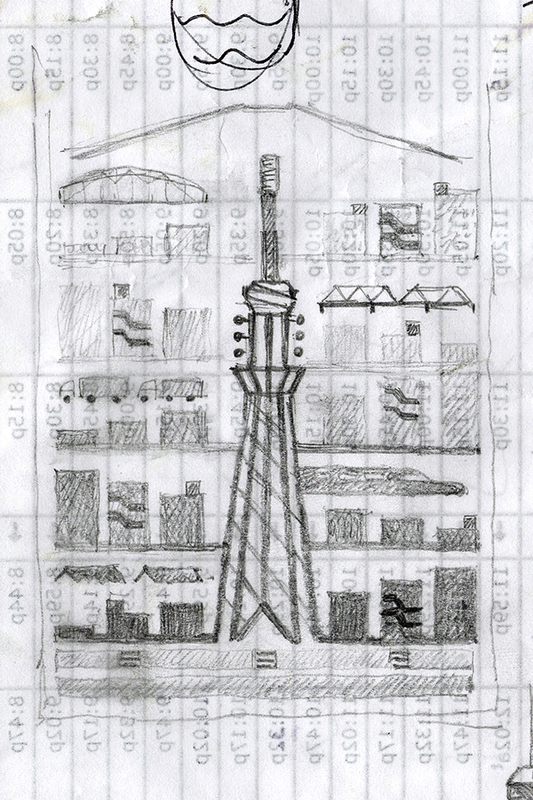 The initial concept sketch was created from the passenger seat of a car while passing through and around Tokyo. 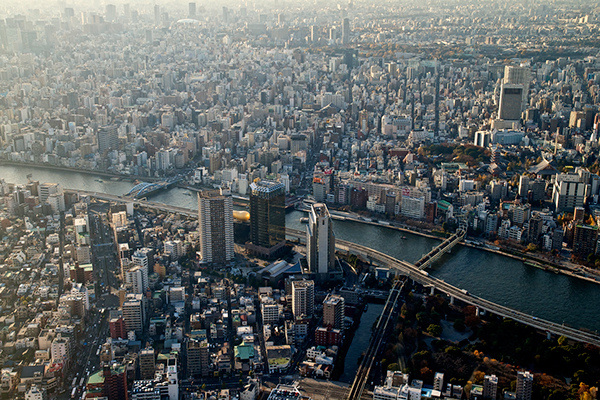 The bridges represent two of many bridges that cross two major Tokyo rivers; the Sumidagawa Bridge crosses the Sumida River and the Kiyosuna Bridge crosses the Arakawa River. 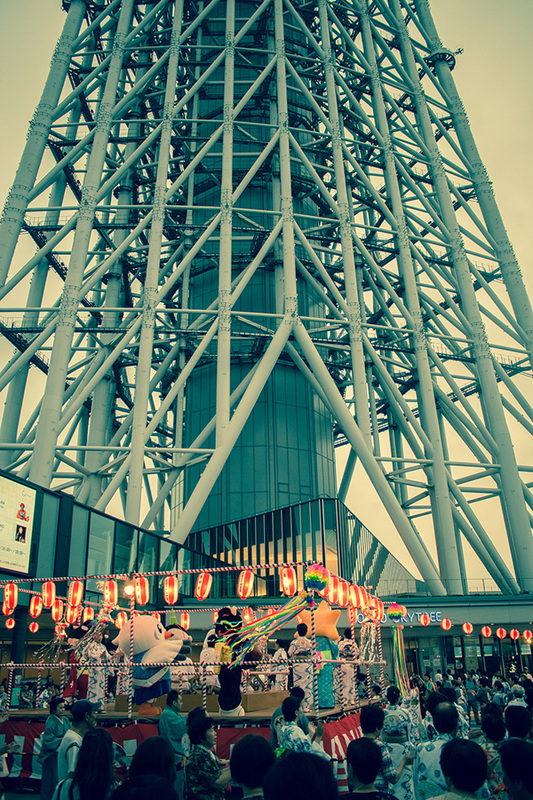 Inspiration for the rail cars was drawn from the Tobu Line, my connection to Tokyo when I'm in Japan. 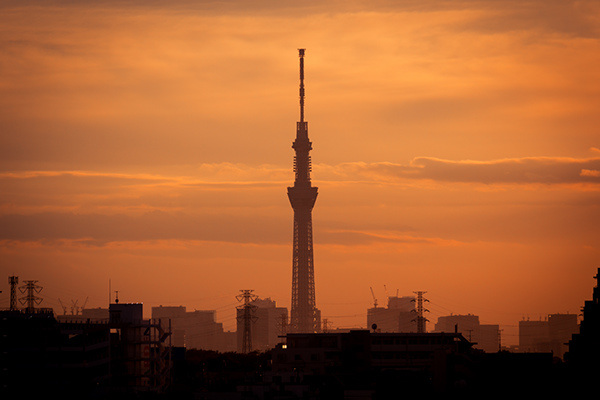 Enjoy and please visit Tokyo sometime! 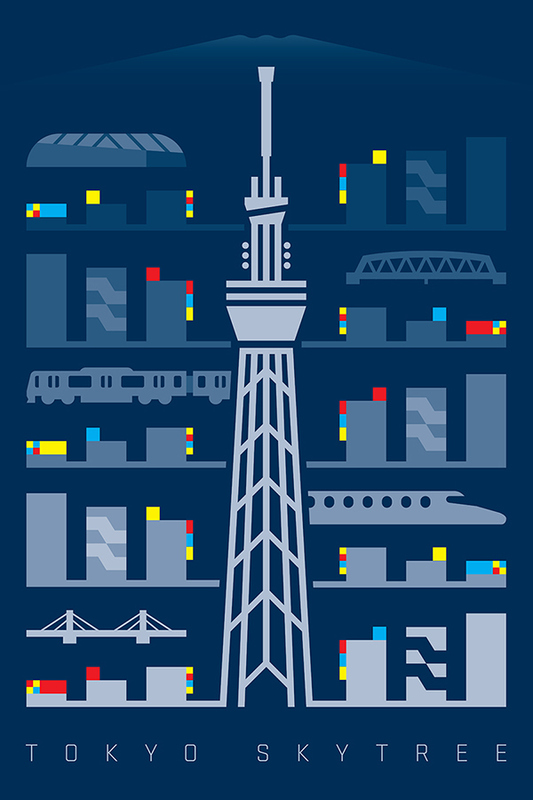 Poster depicting the dynamic city of Tokyo, Japan and its engineering marvel, SkyTree, one of the tallest building structures in the world.